Spring has arrived and in true fashion it has hardly stopped raining for the past 8 days. So, soup and not just any soup. Hamburger Soup. 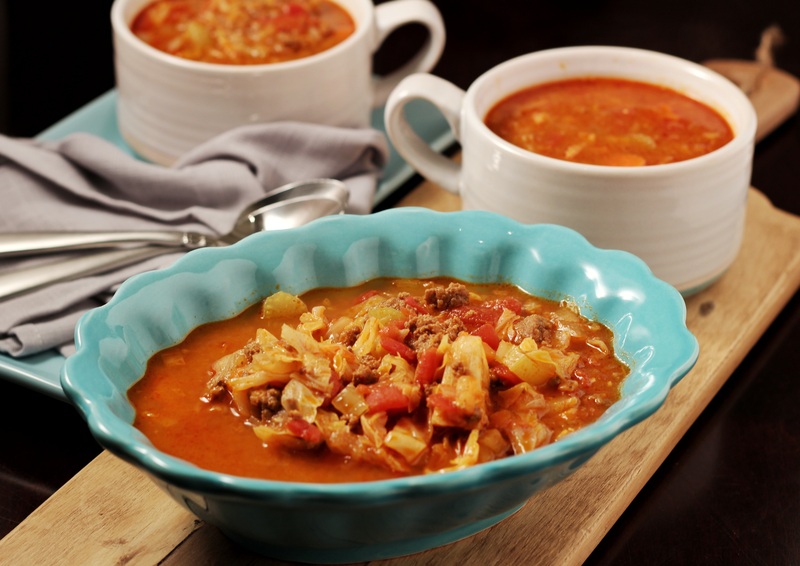 If you haven’t heard of Hamburger Soup then you probably didn’t grow up “in the middle” of Canada or the U.S. It’s a prairie thing which is a bit of an exclusive group but I guarantee if you make this it will be your free pass in. There’s just one problem, it calls for a ‘can’ of tomato soup. Hold on. What? Food from a can (besides tomatoes?). So not Paleo. I’ve tinkered with the recipe over the past couple of years leaving the tomato soup out, adding tomato paste, leaving the tomato paste out and adding different spices. Nothing worked. I needed the tomato soup. That’s when I recalled seeing a video posted by Healthy Living How To on how to make tomato soup in a Vitamix (which I finally bought about a year ago after dreaming about having one since the beginning of time). While I watched the video (shaking my head at the pure simplicity of it all) I grabbed up all 4 ingredients I was going to use for my version and got to work. While the Vitamix was making my soup (did I mention it cooks it too?) I got the rest of the ingredients for the Hamburger Soup in the pot. A few hours later, voila! I am going to make it in my Instant Pot next time because waiting for 2 hours was excruciating and completely unnecessary. I had a bowl for dinner last night and when I woke up this morning to a world shrouded in fog I couldn’t wait to have it for lunch. As life sometimes goes the fog lifted and it’s a balmy 24C outside right now. But you know what they say, when you’re hot eat something hot to cool you down. So, soup. Saute onions in oil for 5 -7 minutes or until translucent. Add ground beef and garlic to pan. Cook until browned. Meanwhile chop carrots, celery and cabbage. When chopping vegetables, try to keep the pieces similar in size so that they cook evenly (no one likes mushy carrots). Add all ingredients to stock pot. Bring to a boil. Reduce heat and simmer for 1 hour or until vegetables are cooked. Heat butter in skillet on medium-high heat. Add onions and saute until translucent (approx. 5 – 7 minutes). Add tomatoes, onions and all other ingredients to your high speed blender). Secure lid and start on the lowest speed, gradually increase to the highest speed setting. Let blend for 5 1/2 minutes. Reduce speed to lowest level. Remove the lid opening and add the cream. Close the lid opening and increase speed to highest level for 30 seconds.